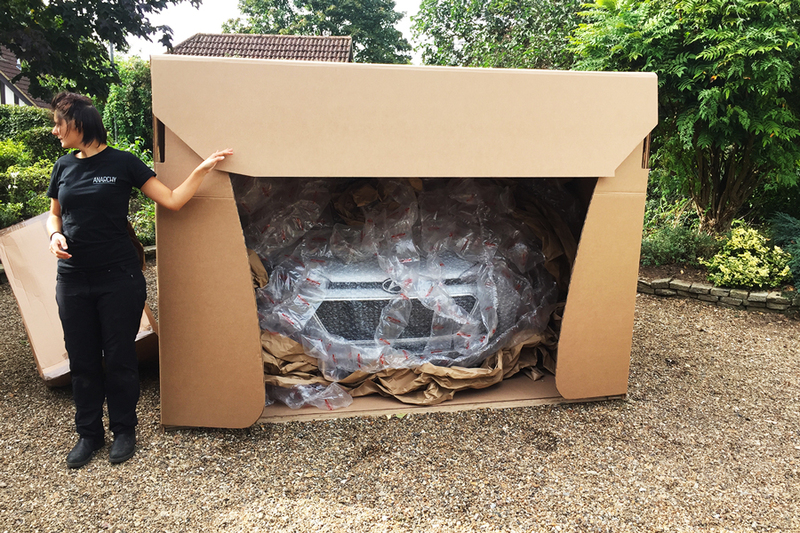 For this project we created an oversized cardboard ‘delivery box’, for a film shows a mix of different types of people in a variety of locations around the UK receiving new cars. 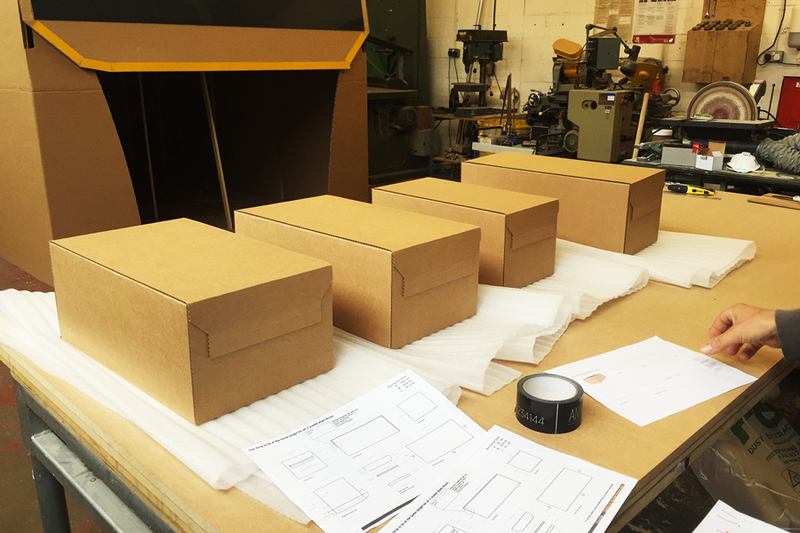 From drawings provided by production, we designed a sectional MDF box clad in oversized laser cut cardboard sheeting similar to a regular parcel. 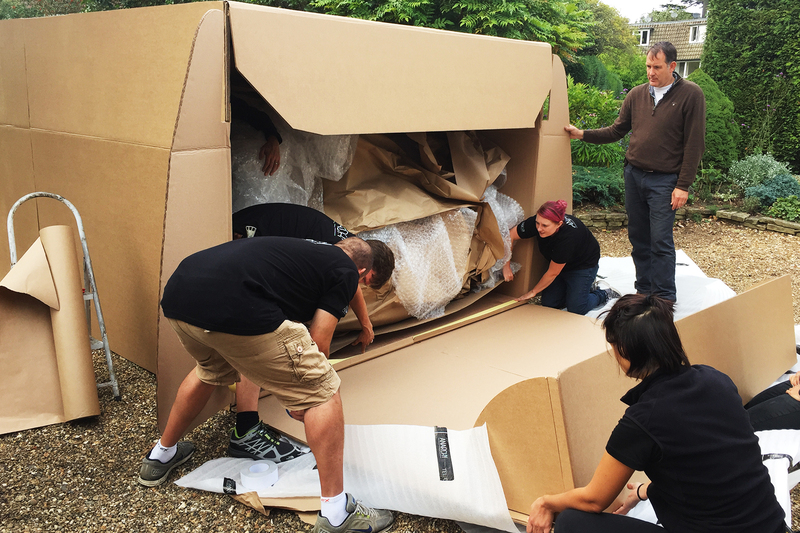 Despite rough wether on the day of shooting, the giant box was erected on location by a team of 6 Technicians under tarpaulin. 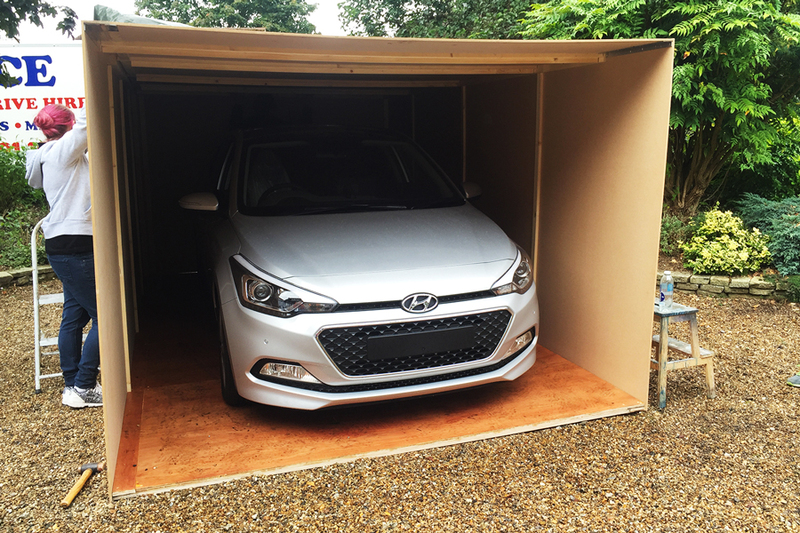 The base was built using layers of thick plywood to support the weight of the car and protect the existing driveway. We also made a breakaway front section with tear strips, a large shadow box and 6 smaller boxes for the different sized car models. Graphics were added to all of the the boxes in post production.